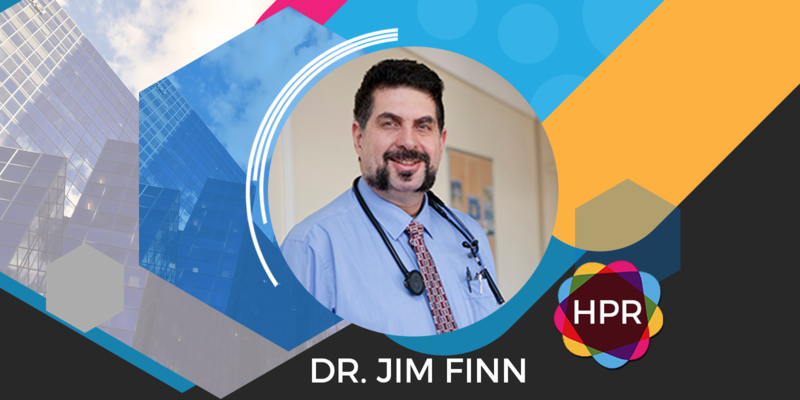 Guest Bio: Dr. Jim Finn is the Vice President of the Australian Medical Association Queensland (AMA). He is an addiction medicine specialist and also senior medical officer credentialed in addiction medicine working at The Prince Charles Hospital in Brisbane. He was formerly the Medical Superintendent of Dirranbandi Hospital and has been a long term councillor of the Australian Salaried Medical Officers Queensland (ASMOFQ) since 2009. Jim is the current State and Federal Secretary of the Australian Salaried Medical Officers Federation (ASMOF). He is the Chair of the Board of General Practice Training Queensland and was the ASMOF appointee to the Quality Assurance Committee for CliPPS, the Clinician Performance Support Service. He is currently the AMA Queensland Vice President and the representative on the Queensland Coalition for Action on Alcohol (QCAA). Segment Overview: In this segment, AMA Queensland Vice President Dr. Jim Finn joins the program in order to promote his organization where they offer strong leadership through advocacy and support for the medical profession and in turn for the benefit of all Queenslanders. He also talks about his passion for medicine and why he decided to join AMA Queensland. for the benefit of all Queenslanders. Without further ado, welcome to the show Jim. It’s so nice to have you here. Dr. Jim Finn: Thank you very much for having me. T: My pleasure Jim. So Jim, please tell the audience more about yourself and something about your background. F: I’m an addiction specialist. I’m working in Queensland mostly in public practice. I work in addiction, this is my ninth year and before then I was a General Practitioner for about nine years. I’m in Western Queensland. Currently I’m the Vice President of AMA Queensland, I have been for the past year and before that I was a board director of AMA Queensland. And AMA Queensland is peak medical body which exists to advance professional interest of doctors and to help the community. It’s an independent organisation representing more than 6,000 doctors across Queensland from presidents and registrars to public and private specialists and general practitioners. T: That sounds very interesting. Tell us what is your big current event, issue or strategy? What’s going on with the AMA nowadays? care, we need fundamental change to the way hospitals treat their staff. And AMA Queensland is a signatory, which signed on to the Tristan Jepson Memorial Foundation Guidelines, workplace well-being best practice guidelines and they’re a comprehensive list of cultural change, multi-modality across workplaces and they’re based on Canadian research and we fully supported that one. T: That sounds very good. Jim if you don’t mind, can I ask you a personal question? T: Why are you so passionate about medicine? What made you decide to become a doctor in the first place? F: When I first wanted to become a doctor, because I was actually a Physics Math teacher beforehand, it’s ironic in a way that I initially became interested in infectious disease. Becoming interested in infectious disease, I had this naive concept that medicine was basically about treating infection and I became a doctor to assist people and treat infections and things and I found it’s so much more than that. I mean in addiction medicine like general practice is a very, very broad field where we treat the entire person holistically. It’s not medicine which is mostly just about treating infectious agents, it’s about finding the lifestyle of the person with substances in their life, their entire bio-psychosocial model and made me initially interested in medicine wasn’t where I’ve got on a medicine and I’m quite, quite grateful for that. And if I could add that, what got me into medicine was to treat the whole person and the reason I became into addiction is I was lucky enough as an intern to work at the head unit at the Brisbane Hospital and I thought the transformative change that they were able to achieve to take people who used some substances had some chaos in their life. I assist those people to get structure in their lives and also to assist some very, very high achieving people, professionally very highly achieving, modify their lives to be even better achieving by removing substances from them. So it’s that transformational change that I really wanted to be a part of. T: That sounds wonderful. Thank you so much Jim for sharing your story with all of us. Jim let’s go back to AMA Queensland, what made you decide to join this particular organization? requirement that every state should have a peak organization which is broad in scope, comprehensive if you like, across all specialties and it needs a peak organization to advocate for public health and best practice within hospitals and the wider healthcare community. And AMA Queensland is designed that suits to be able to do that, it’s not representative only of one group of specialists, we have residents, registrars, private, public practice, specialists and general practitioners so the entire spectrum of health care, we’ve got members across all those modalities that allows us to advocate for the physical, mental health of Queensland and the public health, structural, infrastructure changes and for our hospitals to strive for excellence to improve the health of Queenslanders. running out of time. But before we go what is your main takeaway message to all of our listeners out there? F: My main takeaway message to all the listeners is AMA Queensland is very supportive and is a signatory to the Tristan Jepson Memorial Foundation Best Practice Guidelines. We have too high a rate of mental health amongst doctors in Queensland and across many workplaces which had very high levels of stress on the workers and stress is getting more and more from all over and the health care community. We made Queensland Health a sign up to the Tristan Jepson Memorial Foundation best practice guidelines to show that it shares the values that AMA Queensland and many other organisations like the Law Society of Queensland and University of Queensland share. They should sign onto these comprehensive guidelines to enact cultural change, to improve the working lives of our health professionals within the hospitals so they can care for the health needs of Queenslanders to an even higher standard. T: That was an excellent message Jim. It’s good to know that AMA Queensland really cares about the health of all Queenslanders. F: That’s the reason why AMA Queensland exist. T: Excellent. Jim before we go for those who want to contact AMA Queensland, how can they do that? F: If you just go to our website and if you put AMA Queensland into any search engine such as Google, you’ll find it there and you can go into an that search engine it will come up with our phone numbers and everything. Just to contact us, you can email or phone in and we’ve got reception staff ready to take calls and if you’d like to know anything about the Tristan Jepson Memorial Foundation that’s available on the net as well. T: That’s wonderful. Thank you so much Jim for coming on the show. It was fantastic having you. F: Thank you so much for your time. Tabetha Mareto and you’re listening to Health Professional Radio.